Bored of using the same clips, hairbands, bangles and shoes. Want to create your own fashion at home rather than spending some bucks on these daily accessories. 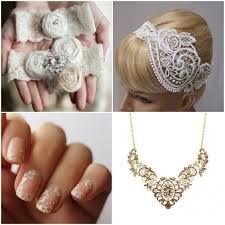 Add fashion to your daily accessories with the help of lace fabric. A touch of lace can make your simple bobby pins fancier. Cut small pieces of lace fabric and gather them at the center. 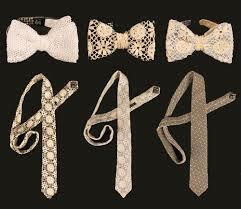 Tie with a knot or sew it to form a bow shape. To try different colors dip it in glue and water and let it dry. Stick the bow onto the bobby pin, and your cutest hairpin is ready. 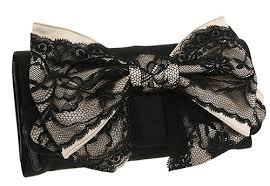 Lacy accessories are cute and always end up pretty. Try handmade lace bracelets and bangles. Take a bright colored broad bangle and wrap it up with a vibrant colored lace fabric. A bracelet can also be mad with a lace fabric. You also make a bracelet by just using a thick patch of lace and attaching ribbons at both the ends so that it can be tied. Make a bracelet by a thick patch of lace and attaching ribbons at both the ends so that it can be tied. Take a t-shirt and make it look fancy by stitching lace fabric patches on the pocket. Cut the t-shirt into a crop top and stitch lace fabric towards the bottom. There you have your lacey crop top ready. Bored of wearing the same old shoes and don’t want to throw it away? 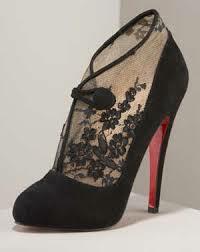 Take a lace patch of your choice and paste it right above the heels or even on the front. Wrapping the entire footwear with lace is also not a bad idea. Not satisfied with just a plain coat of enamel. You wish to go beyond the polka dot manicures? You can make lace effect nails. It is very easy than it sounds. Cut lace fabric patches roughly the size of your nails. Paint your nails with the color of your choice then apply a transparent coat to lock the color in. Paste the patches before the coat dries. Trim the edges with scissors.